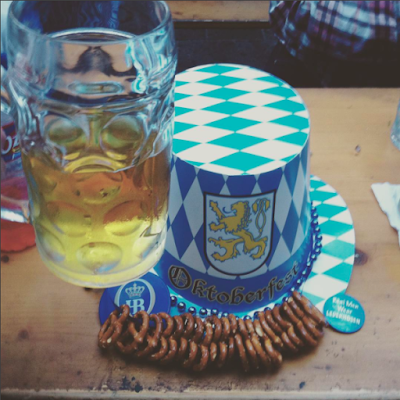 Disclaimer: Bier Garten hooked me up with fabulous food, beer and 2 VIP tickets. However, all options expressed here are my own. I had the pleasure of visiting the Bier Garten on the Riverwalk yesterday to learn about their up coming Oktoberfest event full of sing-a-longs, stein holding, alp horn blowing contests, live German music, dancing and a keg tapped by a local celebrity. The Bier Garten totally rolled out the red carpet for our visit. 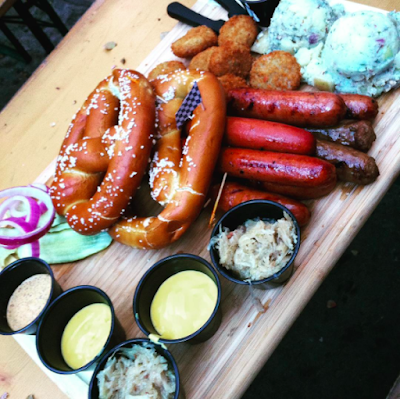 We dined on authentic Bavarian fare including sausages, pretzels, sour kraut balls and of course ice cold beers. 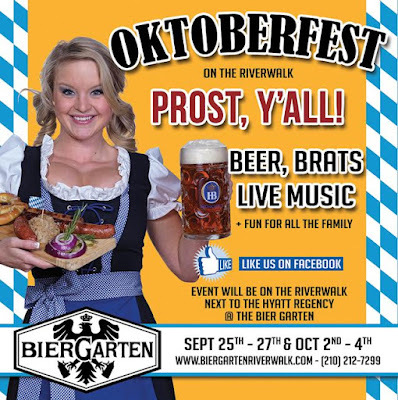 BG has one of the largest selections of import and craft beer on the Riverwalk. On Friday, Bier Garten is kicking off their Oktoberfest celebration with a HUGE launch party. This party is free to attend but I am giving away 2 (one person with a guest) VIP tickets that get you access to the buffet and bier. Yum! Enter to win the VIP tickets below by liking, following and sharing. Good luck! Who doesn't love coffee. In fact, if you don't love coffee I don't think we can be friends. I found this little rolling cabinet in the basement at work. It was just going to be taken to Goodwill so I snagged it up hoping to bring it back to life. 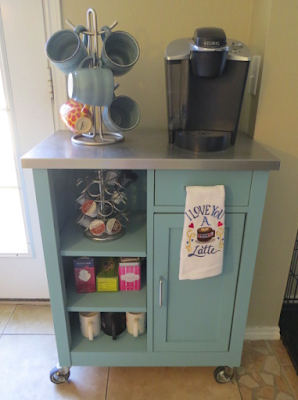 It was the perfect piece for a coffee bar I've always wanted to create. I picked up some FolkArt Chalk Paint in Cascade from Joann's and got to work. 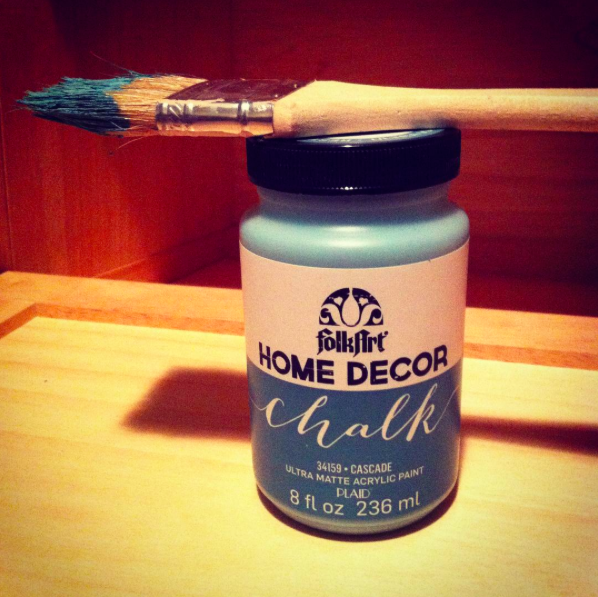 Ive never used chalk paint before but I'm really happy about how it turned out. I used two coats of paint on all sides. I also picked up some FolkArt White Wax thinking I would use it to create a vintage feel. I tried the wax on a test spot and decided I liked the matte feel of the paint better. 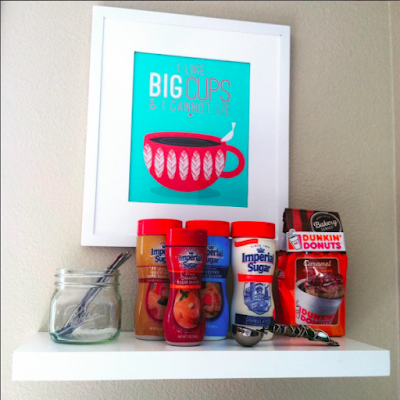 My mom (shout out) bought me the cute 'I like big cups and I cannot lie' art from this Etsy store. 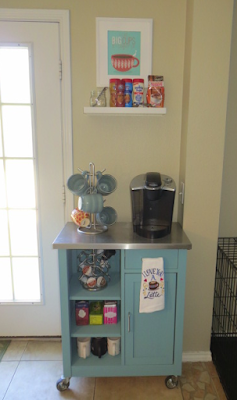 I added and this little shelf from Lowe's that I purchased online and picked up at the store for free. I was in and out in a second. To top it all off I won an Instagram prize from Imperial Sugar. The shakers are a perfect addition to my little white shelf. I completed the coffee bar with a small hand towel I purchased from this Etsy shop. Don't ya just love Etsy? 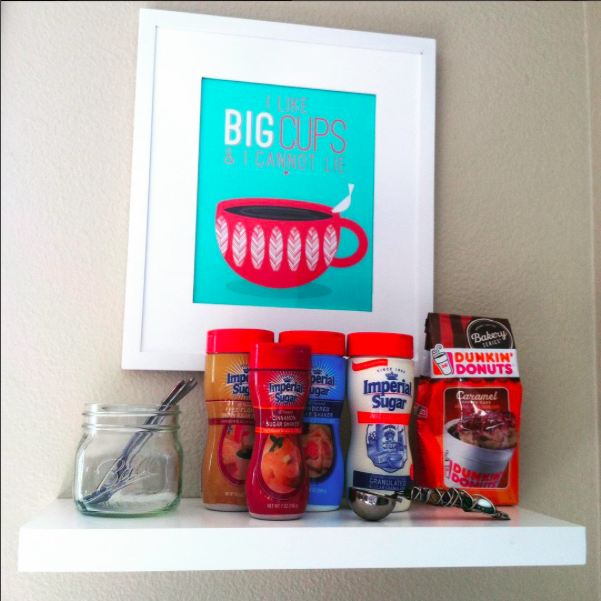 I love how my little coffee bar turned out.